It was a barn burner at the Rough House on Friday night. A big first half effort by the Roughnecks, paired with a hardy battle in the third and fourth was enough for the Roughnecks to edge the top-ranked Georgia Swarm 14-13. The Riggers secured leads of 4-2 after one, and 10-8 after the second. 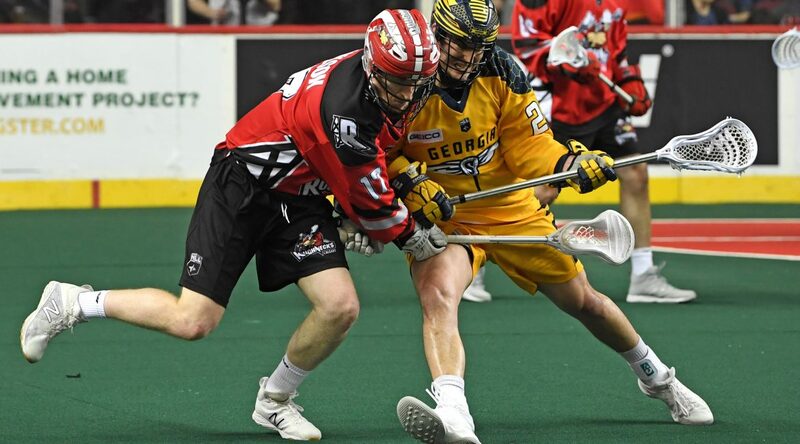 But the Swarm weren’t going down easy and eventually tied it up at 11 after the third quarter. A nail-biter of a fourth saw the Riggers spend almost all of the final four minutes of the game on the penalty kill. But in a very apropos finish to Superhero Night, Curtis ‘Superman’ Dickson would score the game winning goal shorthanded with two minutes remaining.